Own one of the knives from the very first run of the Sleipner steel low profile version of the DPx H?E?S?T Original survival tool. The spare-no-expense knife for those who keep a low profile. Comes with a custom serialized High Polish Brass Zippo with number to match your knife number. 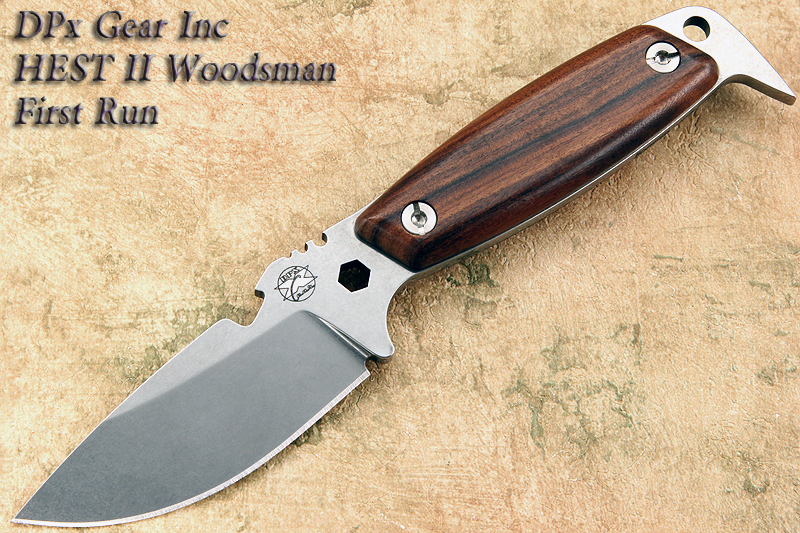 The knife is also serialized with the knife number engraved on the top of the blade. The DPx HEST Original changed the way adventurers think of a brutal-use survival blade. Some customers wanted more: more cutting, more hardness, more options. We responded with this ranch and hunt version. Spectacular edge retention, classic style and ergonomics.